I visit YouTube daily, and so do 800 million other people each month. 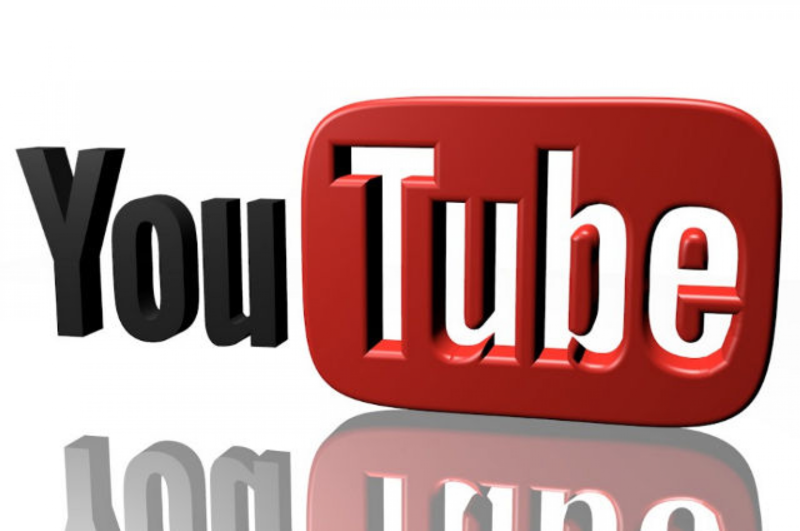 YouTube is huge, and is a good source of traffic for just about any niche. So, if you focus on creating great videos and ranking them, you’ll be getting some serious traffic down the road. Videos are highly educating. In fact, they are often the best way to convey information, and this is probably why they rank so well in Google. Videos published on YouTube rank much better than videos on other websites due to the fact that it’s a Google-owned platform. As the second largest search engine in the world, ranking in YouTube is as essential as ranking in Google. So, whenever you create and optimize a video, do so with the aim of ranking well for relevant searches both within YouTube and in Google. Although the ranking factors differ a bit for both search engines (I’ll elaborate on that later), there are some similarities too. Keep reading as I show you how to make sure your videos rank and send you traffic. Keyword research for videos is not really different from normal keyword research. Before making a video, you need to think of a topic of interest to potential viewers and then load up your favorite keyword research tool. Type in some relevant terms as usual and look for keywords with commercial intent and that have a decent monthly search volume. Since you’re looking to rank in YouTube and in Google, you need to look for keywords that have good search volume in both search engines. Now, I’m not aware of any tool that displays search volume for YouTube keywords. Most keyword research tools will only show you search volume for keywords in Google (and sometimes Yahoo and Bing). That said, if a keyword has a decent search volume in Google, you can bet it does get searched quite a bit in YouTube as well. I recommend anything from 300 exact monthly searches or greater. If it’s less than that, I ignore the keyword. There’s also something else you can do to make sure you’re going after a keyword that has some search volume in YouTube. Go over to YouTube and start typing the first few words of the keyword phrase you’re considering into the search field. If it appears in the suggestions, then people are searching for that keyword on YouTube too! The next and final step is to find out if it’s a video keyword or not. Video keywords are keywords that return video results on the first or second page of Google when you search for them. If Google has a preference for videos in the search results for any given keyword, then that keyword is a video keyword and it’s going to be easier to rank a video for that keyword as opposed to keywords that do not return video results when searched. So, search for your keyword in Google and see if any video results appear in the top 20 main organic results. If videos appear, then it makes the cut. You’ll find that informational keywords (like how-to keywords) and keywords that contain the word ‘review’ tend to return video results more often. There is an exception to the ‘video keyword’ requirement, though. If your target keyword is a long-tail, low-competition keyword, getting a video ranked on the first page for that keyword is unlikely to prove difficult. Therefore, if you’re targeting a long-tail keyword and it doesn’t appear to be a video keyword, I wouldn’t discard it until you first test to see if you can make a video show up. To do video marketing, of course that means that you need to make a great video. The entire success of your video depends on its quality. Crappy videos won’t get shared or liked and no one will subscribe to your YouTube channel or do any of those things that help your videos rank well in Google and YouTube. Google primarily uses relevance and backlinks as ranking factors, so the more backlinks your video has pointing to it, the higher it’ll rank in Google. YouTube, on the other hand, ranks videos based on relevance and engagement metrics. I’ll explain each of those in a bit. Making a great video might seem difficult if it’s your first time, but it isn’t really. It’s a task that can be easily outsourced to a professional if you think it requires too much effort, but that will cost you some money. An easier way is to get a screen recording and video editing software like Camtasia. It’s easy to use and you can get it for a one-off cost that’s equivalent to the cost of getting one video created for you by a professional. A cheaper and simpler alternative is Screencast-O-Matic. It doesn’t have all the bells and whistles Camtasia offers, but it gets the job done for anyone interested in making simple and informative videos in minutes. Whichever route you take, professional or simple, make a video that will inform and entertain viewers – a video that will be liked and shared. Keyword optimization: The presence of your target keywords in important places, such as the title and description of your video. Backlinks: The number of external links from other websites pointing to the URL of your video. Video Retention: This is the time people spend on your video relative to the total length of your video. The higher it is, the better. For example, if your video is 10 minutes long and most viewers stop watching at the 9:25 mark, your retention rate is good. Subscribers: The number of viewers who subscribe to your channel after they’re done watching. Social Shares: The number of viewers who share your video with their friends on Facebook, Twitter, and the likes. Favorites: The rate at which your video is favorited. Comments: How many viewers left a comment after watching. Video rating: The number of thumbs up vs thumbs down. Video length: Longer videos are better. Number of views: The more people who view your video, the higher up the search results it goes. It’s easy to waste your time overthinking these ranking factors, so I urge you not to. If you focus on creating high quality videos that are long enough (5 minutes and above in length), almost everything else will fall into place. Video title: Enter a descriptive title that contains your keyword. Do not stuff the title with keywords or it will do more harm than good. File name: The video’s file name as stored in your PC should be exactly the same as your target keyword before uploading it to your YouTube channel. Tags: Add other keywords related to your main keyword as tags. This increases the number of keywords your video will potentially show up for in Google and YouTube. It also helps your video appear more often as a related video when viewers watch other videos similar to yours. This translates to more traffic over time. Buy YouTube views: If you know of any service that can safely boost the number of views on your video, by all means avail yourself of it. However, note that this is a high-risk activity and YouTube deletes videos and bans users caught buying fake views. If you have a blog, embed your video where it’s relevant whenever you publish a new post. Add a link to your video in your email signature. Send out an email to your list about your new video. Share it with friends on social media platforms. Answer relevant questions on sites like Yahoo Answers and Quora and place a link to your video within your answer. Build backlinks to your video: You can get backlinks from services like Drip Feed Links, One Hour Backlinks, Fiverr, and more. Building links to your video using your keyword as anchor text boosts its Google rankings and gets you more traffic, which, in turn, boosts your YouTube rankings. You can also send your backlinks to indexing services for even better results. Buy social shares: Social Monkee, Social Adr, and SyndWire are all great services for this. Unlike YouTube views, buying social shares won’t put your video at risk of deletion. It integrates a fantastic keyword research tool to help you discover profitable keywords quickly. This tool shows you important metrics like search volume and keyword difficulty. It also helps you find ‘video keywords’ faster by showing you how many videos are ranking in the top 20 Google results for each keyword. It has a built-in rank tracker so you can see how your videos are performing in the search results. You can start a new campaign and get notified when it starts ranking so you can complete it. This feature prevents you from wasting your time and resources on videos that will never rank. Xranker360 integrates popular services providing backlinks and social shares so you can buy these for your videos conveniently. It has support for YouTube live events (with these you get faster page 1 rankings than regular videos). It’s web-based. There’s nothing to install. If you’re ready to experience Xranker360’s powerful features and practically get your videos on the first page of Google and YouTube’s search results whenever you want, click here now. Creating and ranking YouTube videos is one of the best traffic generation strategies you can leverage today. Google ranks YouTube videos highly because they own the platform, so it would be unwise to ignore this opportunity. Ranking in YouTube is just as easy if you follow the tips mentioned earlier. Once your videos rank, the link in your description will send viewers to your website or offer. You can also put a link to your website at the end of your video. Those who don’t click on it in your description may type it into their browser directly. Well done very usfull information about YouTube video.